Residential hotels, clubs, hospitals, nursing homes, schools and colleges, licensed premises, offices, museums, shops, multi-storey dwellings, etc. Although this standard recommends the types and durations of emergency lighting systems relating to each category of premises, it should be remembered that the standards are the minimum safe standards for these types of building and that a higher standard may be required for a particular installation. These regulations detail the design and construction characteristics of a building. Approved Document B details the fire safety requirements for new buildings and the major refurbishment of existing premises. All open areas larger than 60m² must be illuminated in the event of the failure of the normal lighting supply. It also clarifies that emergency lighting is needed for all parts of schools that either do not have natural light or are used outside normal school hours. 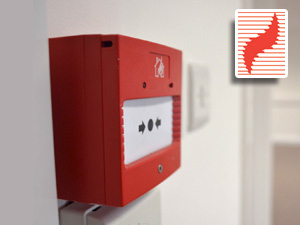 The regulations require that systems comply with BS 5266-1, the code of practice for Emergency lighting. Is your Emergency lighting being regularly checked and tested? Did you know surefire protection uk Ltd , Stockport and Tameside taylor service packages to suit your specific requirements, and can also test and maintain your Emergency lighting. We take care of all your testing worries, providing you with a dedicated log book which records all the tests completed as well as works completed in order to maintain your escape route lighting in case of an emergency situation. While most building owners and operators are aware that their building must have emergency lighting installed – to the appropriate standards – they are not always so aware of the maintenance requirements. We carry out emergency lighting testing and servicing to all types across Stockport and surrounding areas including Tameside, Hyde, Glossop, Cheadle, Bredbury, Wilmslow, Bramhall, Hazel Grove, Reddish, Heaton Moor, Levenshulme, Marple, New Mills, Chapel, Buxton and across all areas of the High Peak. 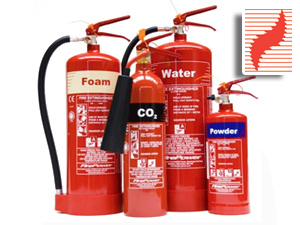 In order to advise you of the most cost-effective solution to your Manchester & Stockport Fire Extinguisher Servicing requirements, Surefire Manchester and Stockport technical staff will undertake a free survey of your premises in the Manchester, Stockport and Tameside area. We will provide you with a guaranteed same day quotation and information on the range of services that we offer. 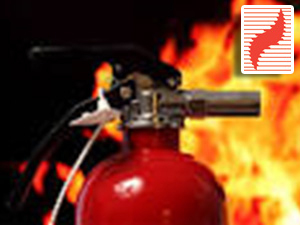 Surefire Manchester, Stockport and Tameside Combining Fire Extinguisher Servicing with Fire Alarm Servicing and Emergency Lighting Maintenance. The importance of emergency lighting in a fire or power failure cannot be understated. Without light even a familiar environment becomes more dangerous and more frighting, so it is essential not only that the emergency lighting comes on when needed but also stays on for the required duration. Surefire Protection UK Ltd Manchester, Stockport and Tameside can arrange regular inspection, testing and certification of emergency lighting systems every 6 or 12 months to ensure your premises fully comply with BS5266-1. We'll also provide the required documentation and log book. For the majority of clients, we provide annual inspection, testing and certification of emergency lighting. 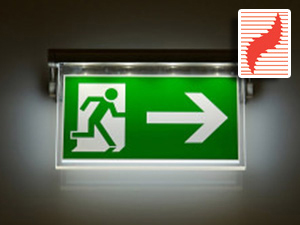 We use fully qualified electricians, experienced in the testing of emergency lighting. We can also supply standard or bespoke log books, so that following the full annual test, a designated member of your staff can quickly and easily perform monthly checks using an easy to follow log book. The purpose of emergency lighting testing is to ensure that emergency lights remain fully functional (for the specified duration) during mains electrical failure and that all lighting and exit signs are up to date with current legislation and are adequate for the purpose intended. BS5266 recommends that emergency lighting systems be regularly serviced by 'competent' persons, these being persons with the necessary knowledge, skills and training to undertake emergency lighting servicing procedures. Implementation of a periodic system of inspection and testing ensures that emergency lighting systems remain reliable at all times and that in the event of an emergency or power failure, the emergency lighting operates, ensuring that people can safely evacuate the building.